The Toronto Reel Asian International Film Festival is presenting a free screening tonight in celebration of Asian Heritage Month. Bodyguards and Assassins by Teddy Chan Tak Sun is an action-packed epic martial arts film set in 1905. Its all-star cast includes Donnie Yen, Nicholas Tse, Leon Lai, Wang Xueqi and Tony Leung Ka-fai. The film won 8 awards at the 2010 Hong Kong Film Awards including Best Film. It set a record for the most nominations in the event's history with eighteen. 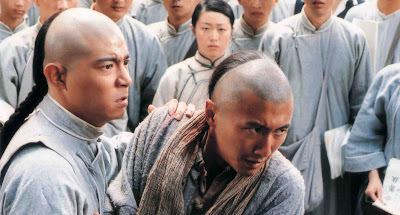 It also won Best Actor (Wang Xueqi) and Best Supporting Actor (Nicholas Tse) at the 4th Asian Film Awards. The screening takes place tonight at the Toronto Underground Cinema at 186 Spadina Ave. It begins at 8pm and runs 2 hours and 19 minutes.